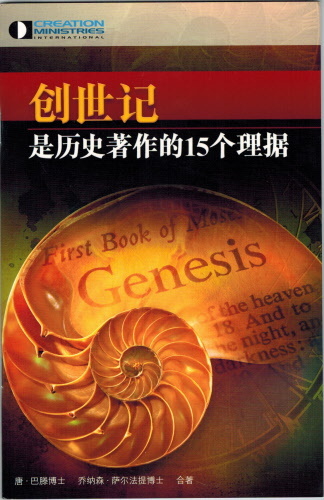 This is a complimentary gift copy of "15 Reasons to take Genesis as History" (C2-58G). Please only add one to your cart. To purchase multiple copies, please click the link for the book (C2-58) below this description. Thank you! This small book succinctly shows why those who believe in the inspiration of Scripture have no intellectually honest choice but to take Genesis as straight-forward history, just as Jesus did. It powerfully challenges one of the major problems in the church today that affects the authority of the entire Bible. Read it, and give it to your pastor or particularly anyone contemplating theological training—kit could save them from getting derailed by some of the misleading arguments common in theological academia.